A new golden age of the photobook has dawned, thanks to digital printing technology and web-based distribution services that allow rapid, inexpensive production of books in quantities from one copy to thousands. This exhibition is the first museum show to focus on the impact of print-on-demand publishing on contemporary photographic practice. 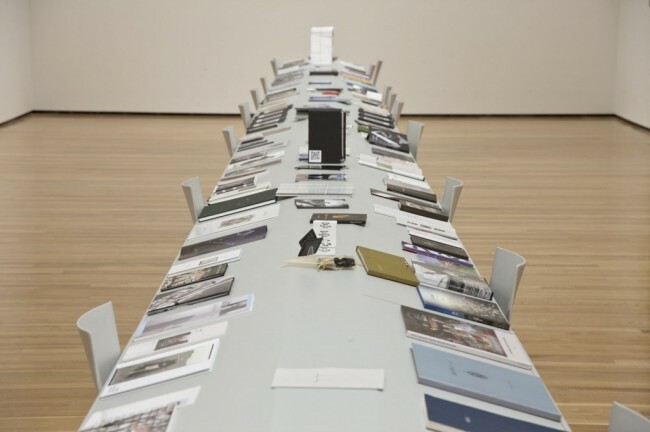 Instead of images on the wall, the room is dominated by a long table where a visual banquet of more than 150 photobooks await the visitor. For all of the volumes, touching, reading, and re-reading is encouraged. The books are by regional, national, and international artists. Both Covers (2nd Edition) and Fractures and Other Injuries are included in the exhibition. An exhibition catalogue is available here.